For over a month now, a group of Hmong individuals residing in the jungle of Northern Laos has been living under attacks by the Lao military forces. The Unrepresented Nations and Peoples Organization (UNPO) has been sharing updates about their struggle daily on its Hmong Timeline, while continuously reaching out to international bodies to request urgent assistance for the group. Surrounded by the Laotian military, this community is unable to forage for food or medicines in the jungle, and escaping is unlikely due to strong military presence in the region. Consequently, since 15 October 2018, the group composed of 30 Hmong have been suffering from severe starvation and enduring constant bombings, while remaining in hiding from the military forces. Latest attacks and the consequent deterioration of their situation has led the group to surrender to the military, with no certainty about what their faith will be. UNPO is alarmed by this situation and calls the international community to react urgently. Due to their collaboration with the United States (US) army during the Vietnam war, a section of the Hmong population living in the Lao People’s Democratic Republic (LPDR) has been facing persecution and military violence at the hands of the country’s authorities, ever since the US lost the war and left Laos, leaving behind its supporters. While some could escape and find refuge in countries such as the US, Thailand and Australia, thousands of Hmong have fled to the jungle of the country, where they remain in hiding from the military. Living alienated from Laotian society and without access to basic services such as education and health care, as well as lacking access to necessary goods including food, clothing and medicines, the Hmong living in the jungle have endured several attacks carried out by the Laotian military throughout the years. 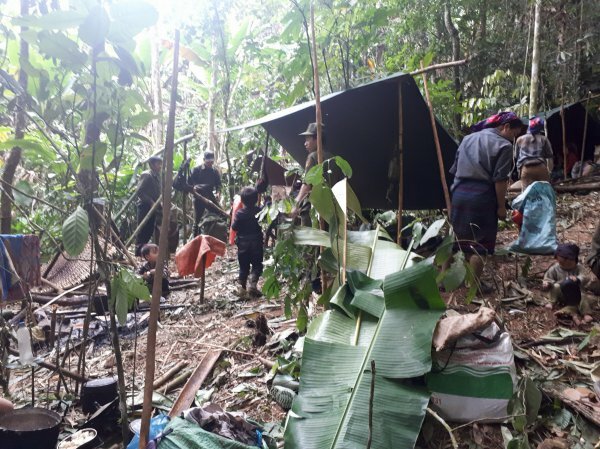 Recently, on 15 October 2018, direct fighting erupted once again due to the encounter between a group of 30 Hmong and a group of Lao military, while the former were searching for food. Since then, seven people at least have been wounded and nine were killed, among whom men, women and children. The group remained in hiding while Laotian military forces increasingly bombed and deployed heavy artillery on the Hmong territory, where helicopters are frequently spotted flying to and from the military bases scattered in the region. It was reported that chemical weapons were also resorted to, leading people to experience symptoms such as nausea, vomiting, headache, chest congestion and weakness in the legs and arms. Tirelessly reporting what is happening inside Laos, representatives from Member organisation the Congress of World Hmong People (CWHP) have been working with the UNPO to share the suffering of the Hmong currently under attack and call the international community to provide them with urgent assistance to put an end to the violence that is being directed towards them. Yesterday, 21 November 2018, UNPO was informed that the group suffered another attack, which left three wounded and three others killed. Subsequently, having suffered from severe starvation and lacked medicines for weeks, the group has surrendered to the Laotian military. Nevertheless, as groups that have previously surrendered were subjected to atrocities such as torture, rapes and killings, their future remains uncertain. UNPO strongly condemns the attacks perpetrated by the Laotian military on this part of its population and calls the international community to urgently react to these human rights violations.